The approaching general elections could have stirred tender activity. 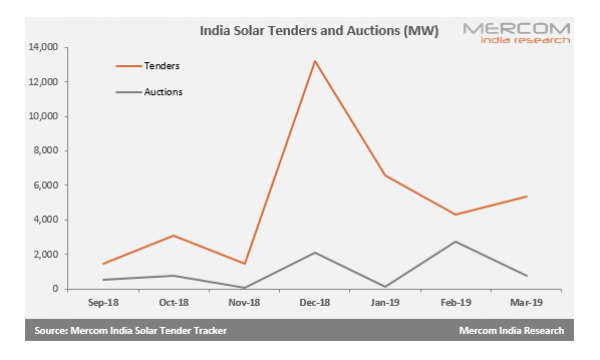 India’s solar auction activity was also nearly 2.3GW more in comparison to the solar tenders announced in the same month last year, data from Mercom India revealed. Compared to February, auction activity in March plummeted by nearly 25% to 750MW. 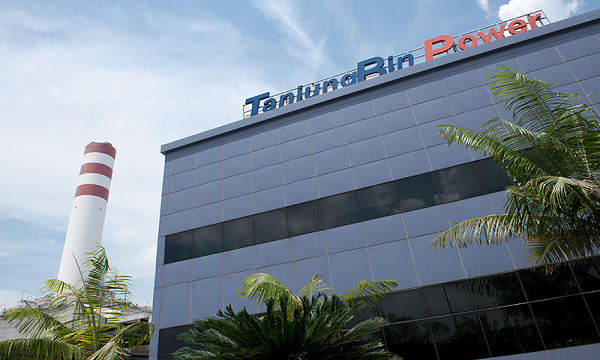 However, the tender announcements fared better in March with 5.3GW of solar capacity tendered through the month, 1GW higher than the capacity tendered in February 2019. “The end of the financial year and the approaching general elections in the country seem to have stirred tender activity in March. However, auction activity is expected to resume most likely after the elections are concluded and the new government assumes office,” Mercom India commented. India’s Ministry of New and Renewable Energy (MNRE) estimates that about 30GW are to be tendered in FY 2018-2019. So far, over 55GW have already been tendered. “Whilst these announcements sound positive for the industry, the markets must wait to see if these tenders will turn into auctions,” Mercom India said. 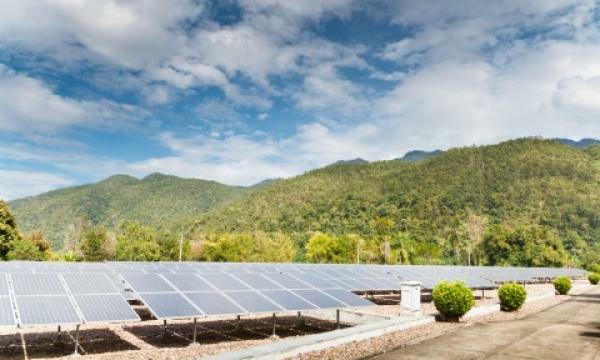 Some of the notable tenders for the period include the Gujarat Urja Vikas Nigam Limited’s (GUVNL) tender for 700MW of grid-connected solar power projects to be set up under Phase III of Raghanesda Solar Park as well as the Solar Energy Corporation of India’s (SECI) tender for 750MW of grid-connected solar PV projects in Rajasthan. Auction activity in April is also expected to be muted due to ongoing elections, Mercom India concluded.